A painting business is a great way to make money, it’s scalable, and it’s not as hard as you would think to outperform the competition. This guide was made for painters who already know how to paint but want to start a business of their own. Maybe you’ve worked for a painting company for a while and you’re ready to break off on your own to make more money. The author, Michael Henry, ran a successful painting business (mdhpainting.com) for 6 years. Since that point, Michael has stepped away from direct involvement in his painting business to focus on helping other painting companies grow their businesses. Without further ado: let’s get started! 1. Pick a name for your business. See this blog post here if you are looking for some help choosing a name. 4. Order business cards. I recommend vistaprint.com or moo.com. You can get 500 cards at a relatively low cost. 5. File your LLC paperwork. An LLC is a type of business entity. Having an LLC as opposed to being a sole proprietor will help shield you from a fair amount of personally liability in the event that your company is ever sued. Just google “your state llc paperwork” (example: Michigan LLC paperwork) and file it yourself. Services like LegalZoom that file the paperwork for you are not necessary, because the paperwork is really simple to fill out. 6. File for an EIN. An EIN is like a social security number for your business, you’ll need this to file taxes and to get a bank account. You can file for an EIN here but before you file you'll need to have your LLC paperwork back from your state. 7. Open a bank account. For organizational and legal purposes, you'll want to keep from co-mingling your personal and business funds. I prefer Chase, they’re great to work with as a business, but any bank will do. 8. Find out whether or not you need a builder's license. Use this chart to see whether or not your state requires a license. 9. Purchase general liability insurance. There are 2 types of insurance you’ll need to be concerned with; general liability and worker’s compensation. General liability insurance protects you in case someone sues you, or if there is an accident that results in property damage (like spilling paint on a roof). Worker’s compensation covers injuries to people who work for you (i.e. falling off a ladder, rolling an ankle, etc.). Right now just focus on buying your general liability insurance, it should be around $500 or $600. I recommend going through an independent insurance agent as opposed to an insurer like State Farm (for example), because the independent guy will likely cost less. Estimating can get really complicated, but initially, you'll want to focus on estimating small interior jobs. Small jobs tend to be a lot easier to estimate and they'll give you a solid footing to start taking on bigger jobs, down the road. 12. Practice estimating. 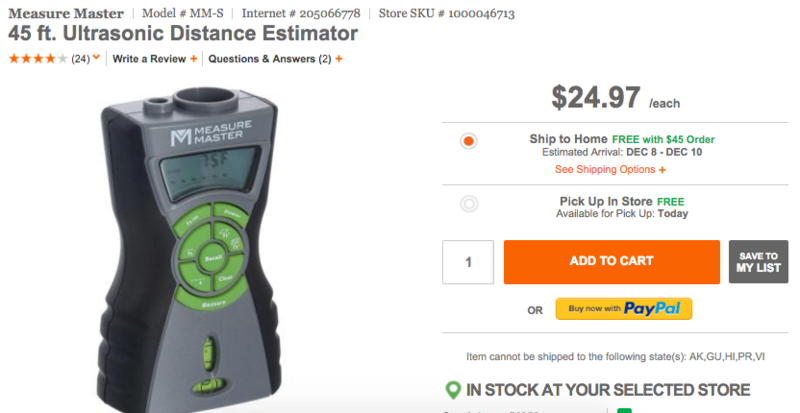 Practice estimating in your house or apartment to get a basic level of comfort with estimating. Estimate at least 3 or 4 rooms before your first actual estimate. Note: a lot of guys get caught up in estimating. Don't let estimating be the barrier that keeps you from moving forward. You're going to make a few mistakes, but you should get the hang of it pretty quickly. Again, you don't need to be exact, you just need to be close enough to the point where the price is fair to you and fair to the customer. Getting people in the door is actually a lot easier than you might think. The market is pretty hungry for painters, so don’t sweat it too much. There are a lot of ways you can get the phone ringing, but the best way to start is by buying leads from lead generation companies. Customers will go to sites like HomeAdvisor.com looking for a painter, submit a request to be contacted by a painter, and you’ll pay HomeAdvisor [between $20-$50 depending on the type of job] for their info . You can get A TON of leads this way. 13. Sign your business up with Thumbtack. This is a great one to start with because the job sizes are typically small and the leads are generally inexpensive. Note: Your goal with Thumbtack should to setup an in-person estimate. Say something like, "I'd be happy to give you an estimate on but before I commit to anything I would need to see the job in person. I have time tomorrow and to give you an estimate. Can you give me a couple of times in your calendar when you would be available?" Committing to an appointment will get rid of the tire kickers and will force that prospective customer to become actively engaged. You should expect to schedule an estimate with around 30% of the people you message. 14. Sign up to receive HomeAdvisor leads. HomeAdvisor will likely give you the highest volume of leads. And they are usually tend to be of pretty good quality. The only thing you have to watch out for is excessive competition. When you're signing up, ask the rep you're dealing with to tell you how many other companies will be receiving those specific lead types in your service area. I would recommend straying away from HomeAdvisor if you have more than 2 other companies receiving leads in your area. 15. Sign up with CraftJack. Same thing as HomeAdvisor, but you should expect to receive less leads. You may find that less competitors are signed up. 17. Send a confirmation email. Include the date and time. It's okay to be short, sweet, and to the point; people appreciate that. Here is the confirmation email I usually send. 18. Show up. It's ridiculous how many times I hear that the competition never showed up, or never called them back in the first place. Arrive in khakis and a polo and be on time. People hate it when people are late. Don't be that guy. 19. Do the estimate. Here's what a typical estimate should look like: download this 4 page PDF that tells you exactly what to say and do at a painting estimate. 20. Paint your first job. Coming into this guide, we’ve made the assumption that you have some prior painting experience so we’re not going to get into “how to paint”. But if you're looking to pick up a few tips I recommend that you check out The Idaho Painter on YouTube. This guy is really good at painting, and you will definitely learn a lot from his videos. After you’ve spent a month or so painting on your own and you feel like you've got the process down, hire your first employee. Painters make their money painting, painting businesses make their money by orchestrating the process behind it. Don't get stuck in the "I'll paint it myself" mentality. You make way more money running the business than you do actually painting. 21. Create a job application using Google Forms. Why Google Forms? It's simple, easy, and free. The job app should ask for the applicants basic information and a few key questions such as "why do you want the job", "tell us about any previous painting experience" but don't make the application too long. The goal is to get a lot of people to apply, so you'll want to make the process easy. 23. Filter through the job apps. You are going to receive a ton of garbage applications. It's just the nature of the beast. The biggest thing you'll struggle with is getting people to show up to interviews. You'll talk to someone on the phone, confirm via email, and a lot of guys just won't show up. The key here is numbers, make sure you continue to refresh your post on Craigslist and get as many apps as you can. 24. Call to setup interviews. Pick guys (or gals) who didn't misspell their name on the application, own a car, and are willing to work 40 hours/week. Schedule interviews for 30 minutes, and try to interview people within 2 days of them submitting the application, when their interest in the position is still relatively high. 25. Interview job candidates. Go to Tim Horton's or Starbucks to conduct your interviews. Here is a PDF of 30 painter interview questions you can ask. The goal of the interview is to see if the job candidate (a) can show up on time (b) has the right attitude (c) is truly interested in working for you and (d) is a good overall fit for the position. 26. Set up payroll. You'll need to do this as soon as you've hired someone. I highly recommend payroll software called Gusto (formally known as ZenPayroll). They file all of the paperwork for you. They make running payroll so, so, easy. 27. Purchase a worker's comp policy. If your employee, or in many states the employee of an uninsured subcontractor, is injured on the job, you're on the hook to pay for it, even if it was the employee's fault. Kind of ridiculous, right? That's why there's worker's comp. Worker's comp insurance removes you from the equation and foots the bill in the event of an workplace injury. For painters, it's usually around 10% of your payroll which is a bit steep for my taste, but still worth every penny. Note: Before any employee steps foot on your job site, you need to have a worker’s comp. policy. Of all things, don't let someone work unless you have a worker's comp policy to cover workplace injuries. 28. Train the new guy. We'll offer more tips on training down the road but the basic steps of training someone are as follows (a) show the person how to do a task (b) watch them do the task (c) re-demonstrate the task, and throw in a pointer or two (d) set them loose on something and (e) check in every hour until they get the hang of it. 29. Hire a second employee. Once the first employee is at the point where he can operate on his own, hire a second employee and keep them on the same crew. At this point, you should still be painting with your crew 40 hours per week. After you have your 2 or 3 person crew running well you should start spending less time on the painting side of your business. Now, it’s important to check in a couple of times per day because your guys will inevitably run into situations that require you to intervene (going over budget, not doing something correctly, etc) and its your job to jump in and correct the issue. How much can I earn from a painting business? A lot. You can earn a lot of money, but only if you’re focusing on the right things. So many painters get caught up in slinging a brush and lose sight of building the business. You need to get off the job site and build the business to make money.